The classic NES game (or in this case SNES remake) returns, and now you can play it on the can! Every once in a while, when nerds like us start talking about games, we begin remembering the classics, those games that were completely unforgettable and stay with us forever. However, there’s always that moment of disagreement and what we think of as a classic may not jive with others, so the conversation moves to figuring out just what a "classic" is, and there’s always that handful of games that everybody agrees is worthy. This is especially so with Super Mario Advance 4, which brings back one of, if not the most recognizable games of the past decade: Super Mario Bros. 3 for the NES. In case you’re unfamiliar with SMB3 (what, did you buy a Genesis? Jeez), it goes like this: Mario and Luigi are dispatched to release the 8 lands of Mushroom World from the terror of Bowser and his handful of Koopa kids. It’s a long journey, but the brothers have help in the form of Super Mushrooms and Fire Flowers, as well as the power of flight granted by the Super Leaf, and three suits that can make life even easier. The Frog Suit lets you swim faster, the Tanooki Suit can turn you into an invincible statue as well as let you fly, and the Hammer Bros. Suit is just plain badass. 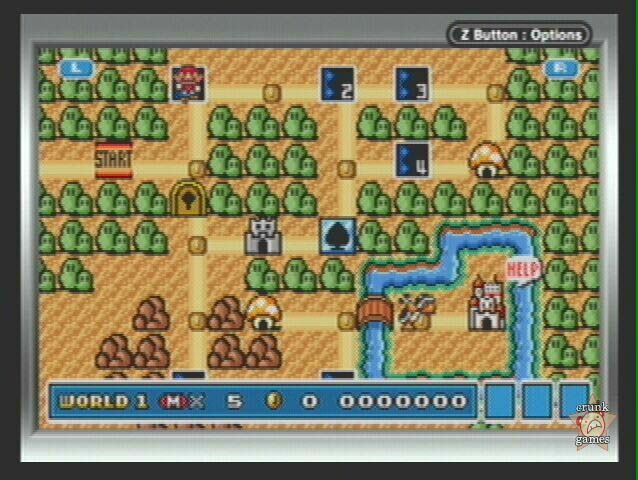 SMB3 was a huge leap from the previous Marios in almost every way, from size to graphics to overall fun, and it retains it all in this edition. 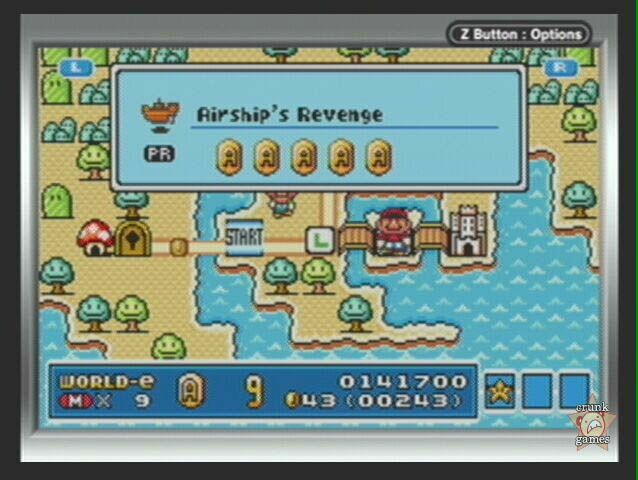 On the outside, SMA4 isn’t any different from the other SMA titles: it’s a further-revised version of the SMB3 remake from Super Mario All-Stars on SNES. 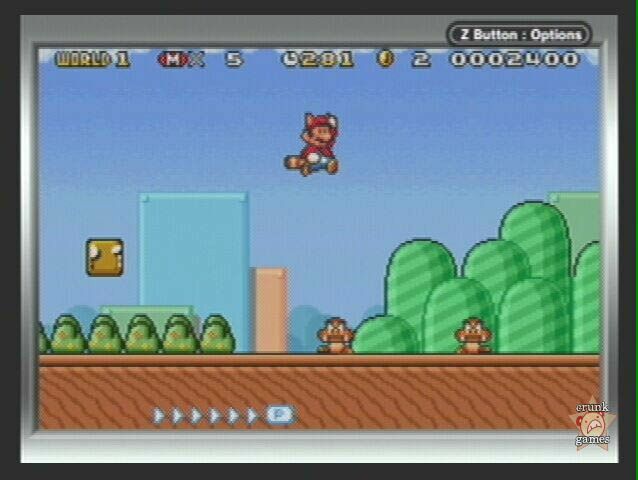 New touches like voices, rumble support through the GB Player, a new intro and bits of extra graphics have been added, as well as that cursed Mario Bros. game. Two players can play on one system by alternating Mario and Luigi between levels, but it’s also a good tactic on your own since you can basically double your lives. Luigi still has his floaty jump from SMA1 and 2 but this time he falls a lot faster, lessening the awkwardness somewhat. What’s more, you can save two replays of your expertise a la the Demo cards (see below). But look even deeper into SMA4 and you find what is definitely the coolest — and the most money-grubbing, admittedly — part of the game: the e-Reader support. By connecting a GBA with the game and one with the Reader (yeah, you need two, sorry) you can boldly go where Mario 3 has never gone before. First there’s Power-up cards, which are emblazoned with a specific item and can be scanned infinitely, letting you fill up your inventory with Hammer Bros. Suits if you’re that crazy. The only problem is these cards are rendered useless once you beat the game, since all the levels are opened back up and you can re-enter Toad Houses over and over. Next are Demo cards, wherein you can watch levels cleared in record time or show other impressive skills like 1-up loops. The last set is Level cards, which are the big draw. 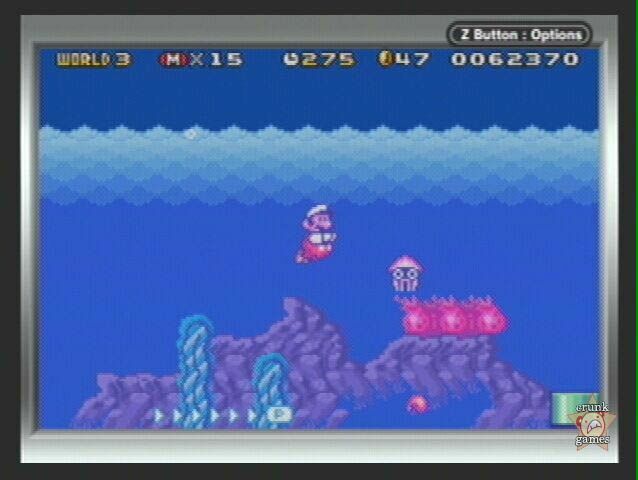 To use them, you must first go to a special card world from the title screen and then scan them in. 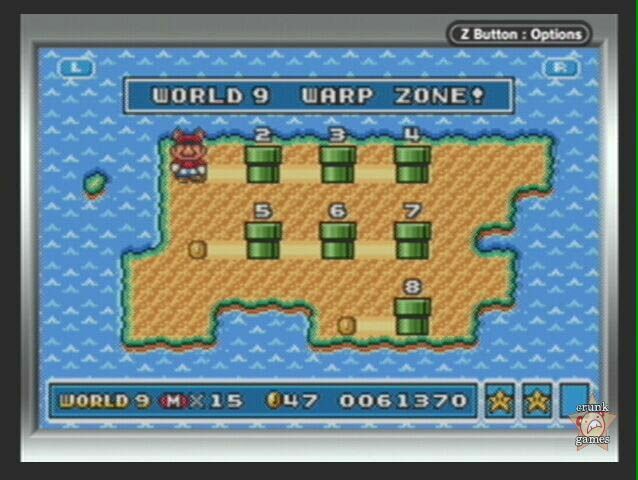 You can save 32 levels to the cartridge memory, but you have to beat a level first in order save it. Like in the other SMA games, the new levels have special "Advance Coins" that you’ll need to collect, and even then you’ll have to beat the level as both Mario and Luigi to get 100%, a type of practice I’ve always regarded as pointless busywork. In the end, though, the levels themselves add a great deal of replay value, especially since they’ll keep coming. As a nice bonus, every copy of SMA4 comes with one Level card and one Power-up card. Boosters are pricey with a list price of $5.99 a pack, but on the upside you get every card in the series in one pack, and luckily the holidays are approaching so they ought to make prime stocking stuffers.